Minimizing unnecessary distractions is one of the easiest ways to achieve a healthy work-life balance. That’s why creating a turnkey office wardrobe is critical. After all, you’re already logging 40 hours at your gig, why put in overtime figuring out what you’re going to wear? Having a reliable rotation of cool, no-brainer pieces puts less pressure on you day-in and day-out, giving you more time to focus on the stuff that’s going to take you to next level professionally. And don’t sweat it if that translates into a promotion—whether you’re entry-level or executive brass, the workwear classics below will always breeze through your corporate review. 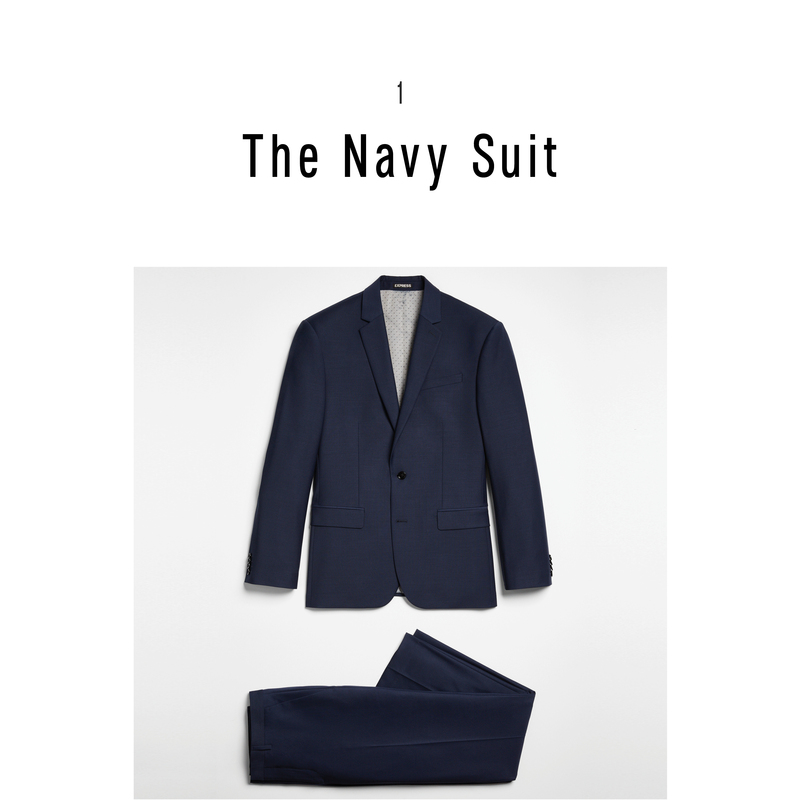 A navy two-button evinces anything but the blues. Less stiff than black and gray and more versatile than tan or khaki, this sure-fire shade works year round for team meetings, client visits, and, should you feel inclined, one very dappered-up conference call. With shirting, comfort and cool isn’t always compatible. 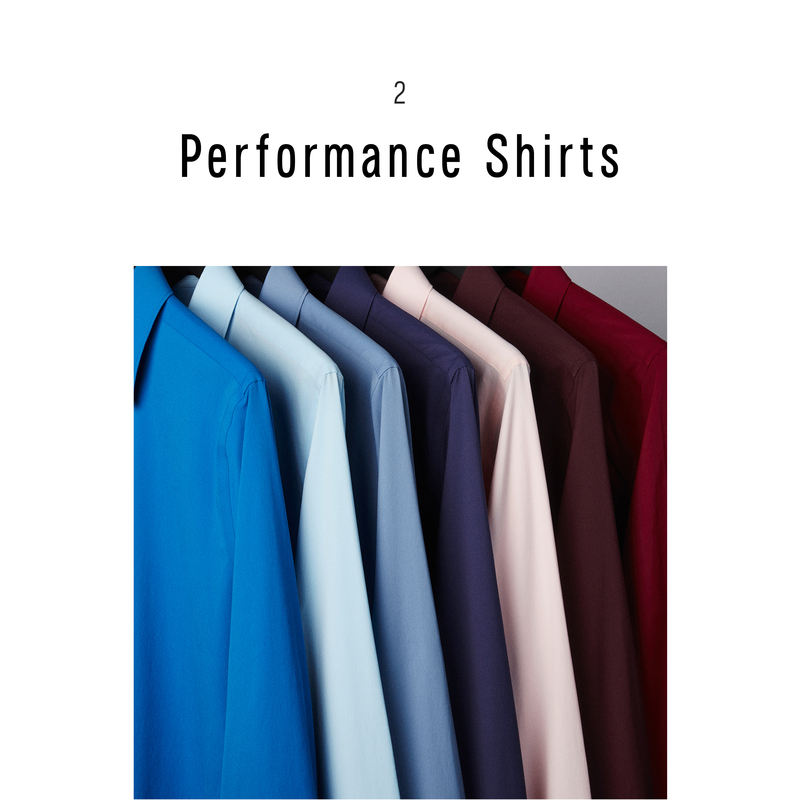 Luckily, the new generation of shirts caters to the on-the-go dude with enhanced, durable fabrics engineered for even the most unrelenting nine-to-five. Plus, with splashier motifs, “white collar” dress doesn’t have to be taken literally. Bulking up shouldn’t weigh you down, but that’s often the case when suiting up for the elements. 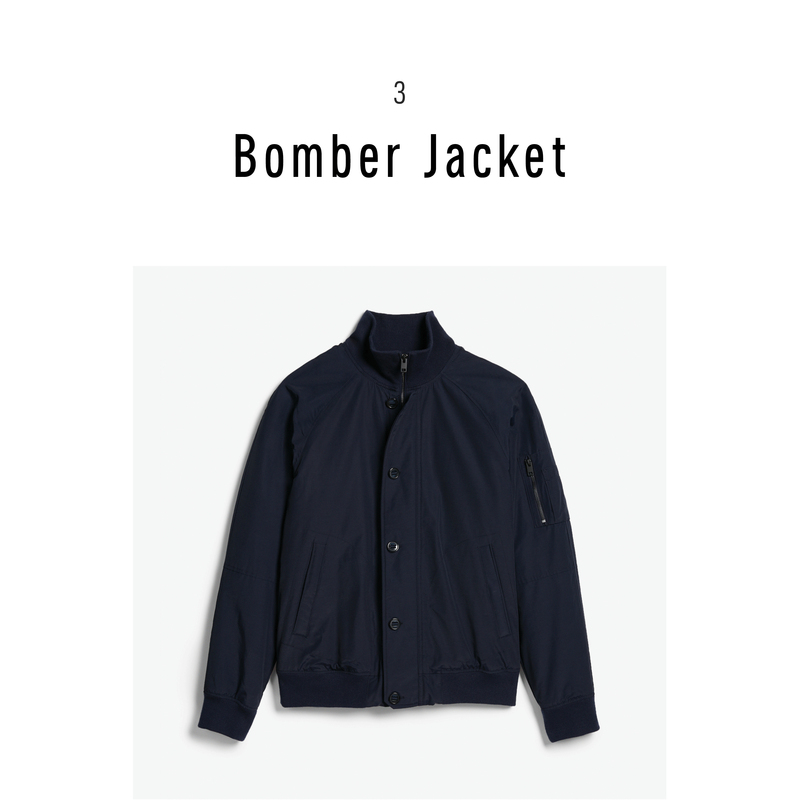 With an airy build, today’s bomber jacket layers seamlessly over oxfords, sweaters, and other rugged basics while showing that you’ve graduated from entry-level outerwear. 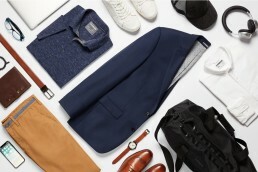 Just as Casual Friday isn’t an actual day off from work, it’s not a vacation from dressing smart, either. 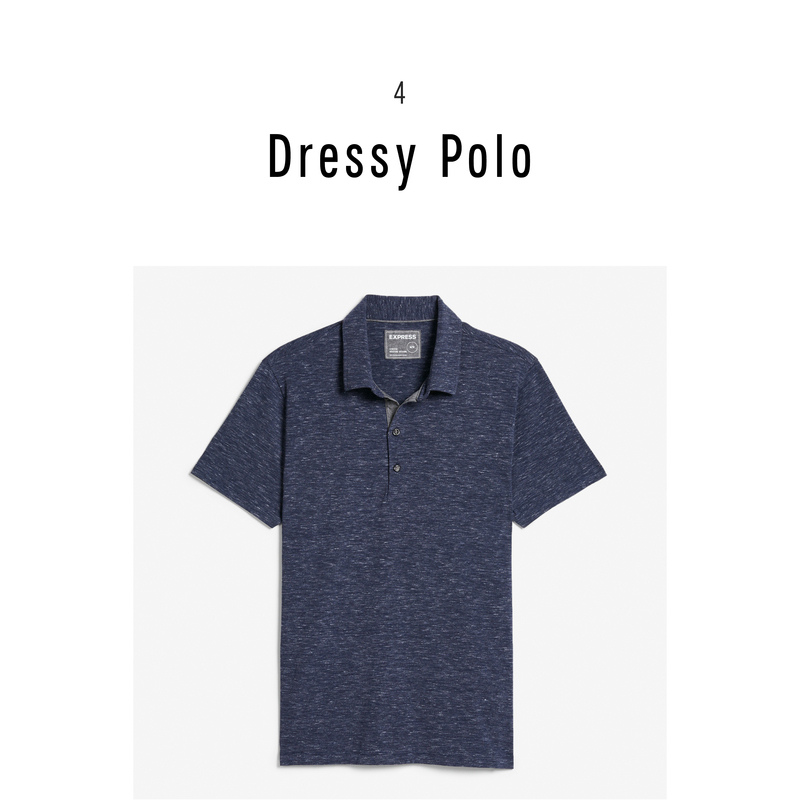 For even the most lax of dress codes, a handsome, tailored polo is a stylish option for the days that don’t demand a blazer. While your tie might stay home, your style standards shouldn’t. 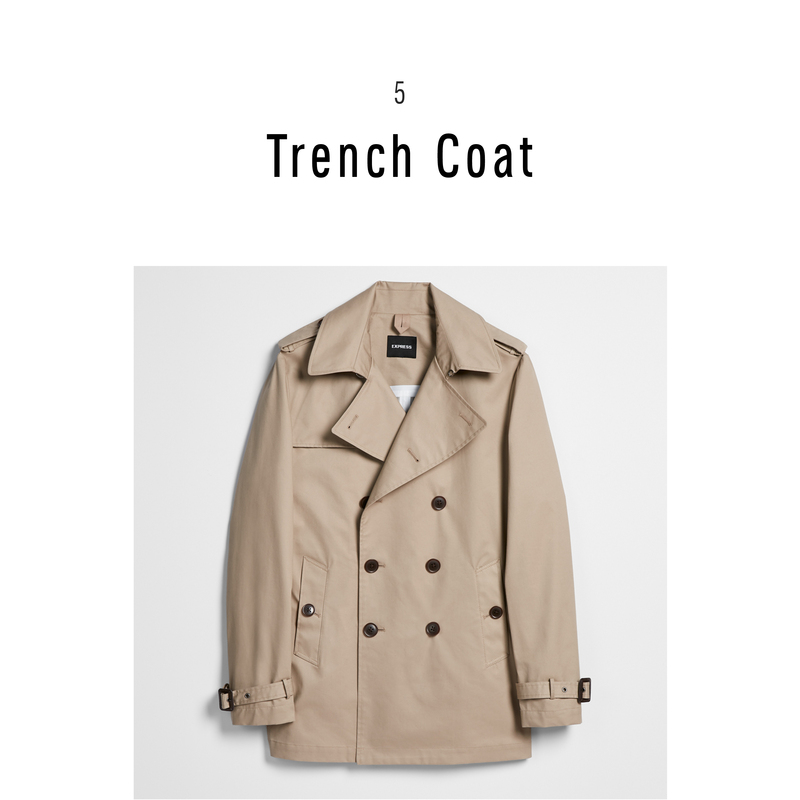 This stalwart is an absolute all-star for commutes, insulating you from the cold while keeping you dry in the rain (while looking darn good with an umbrella, at that). But, most importantly, its length means that your blazer or suit won’t be awkwardly peeking out, as can be the case with other jackets. 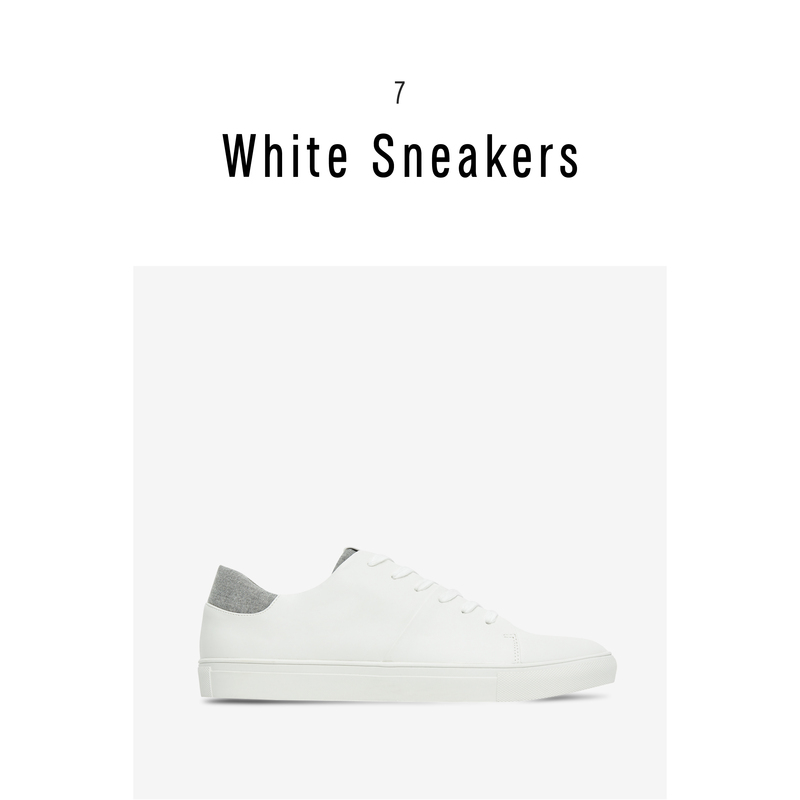 Simply put, these lace-ups have a versatility other kicks can’t quite match. Whether worn with dark wash denim, colorful chinos, or suit pants, these enduring soles step up your shoe game in a major way. Sneakers are a smart switch-up, but running shoes and cross-trainers are the wrong route to go. 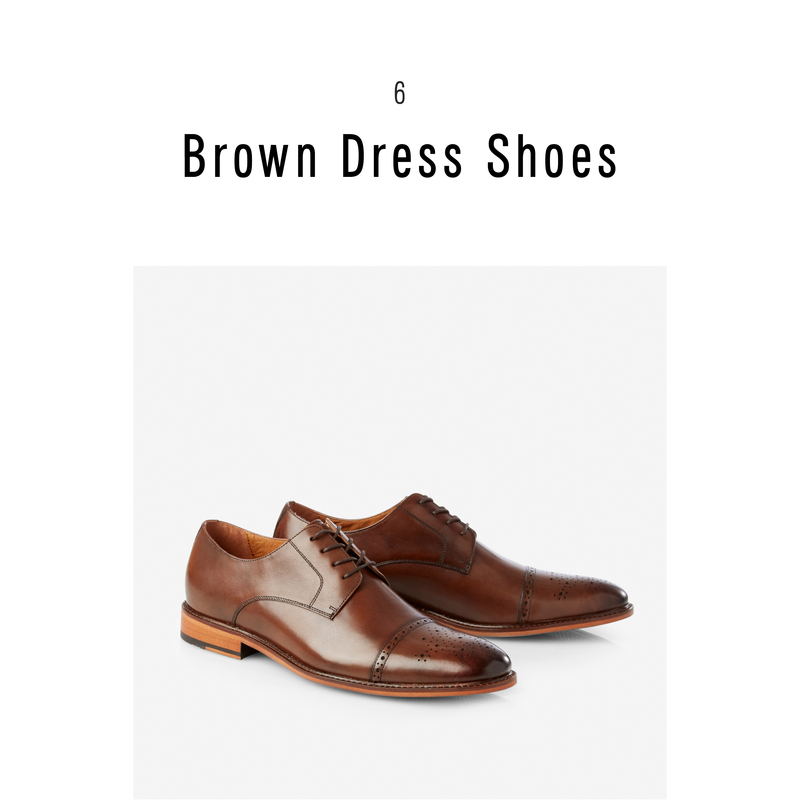 A subtle, all-white set adds some edge to a formal getup, showing a subtle cool that brogues and wingtips can’t quite convey. 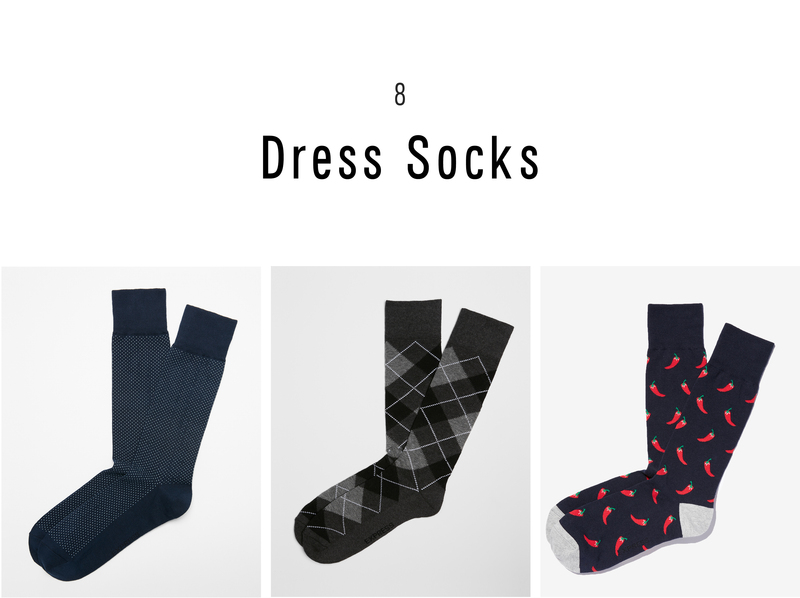 Solid black, gray, and navy probably comprises your sock rotation. For seriously electric ankle gear, mix in argyle, polka dots, or other prints that proves “attention to detail” is more than just a line on your résumé. 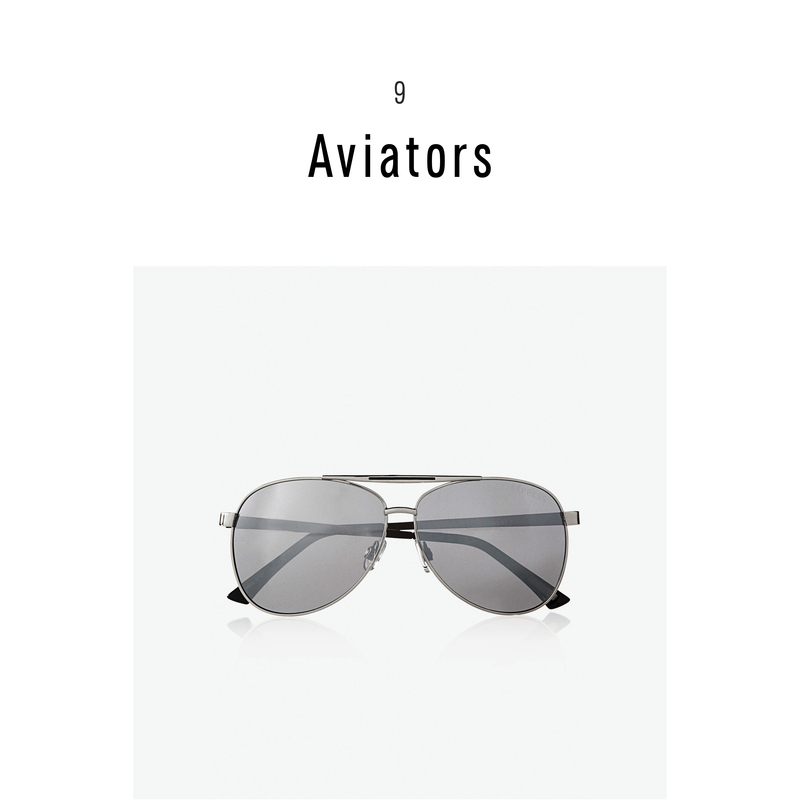 Seemingly immune to both trends and time, it doesn’t get more classic than these go-to lenses. The silhouette complements every facial shape, while smacking of sophistication. That’s some serious shade. Getting rid of pleats was the easy part. Amping up with some color—read: not khaki—took a bit longer. 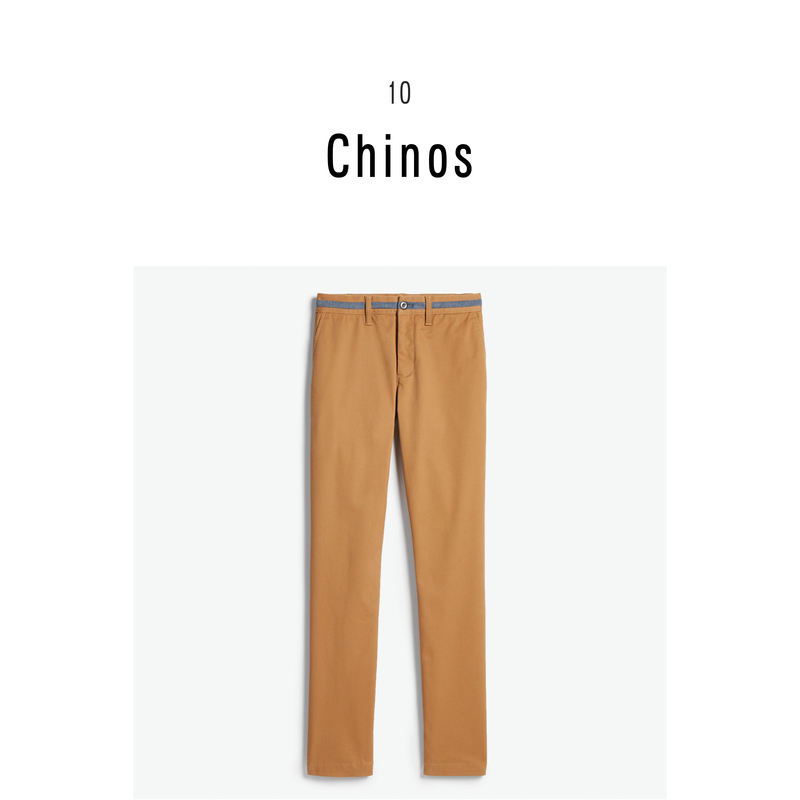 Now, with a wealth of run-the-rainbow options, chinos prove their worth with punchy palettes filtered through a streamlined, wear-them-anywhere functionality.